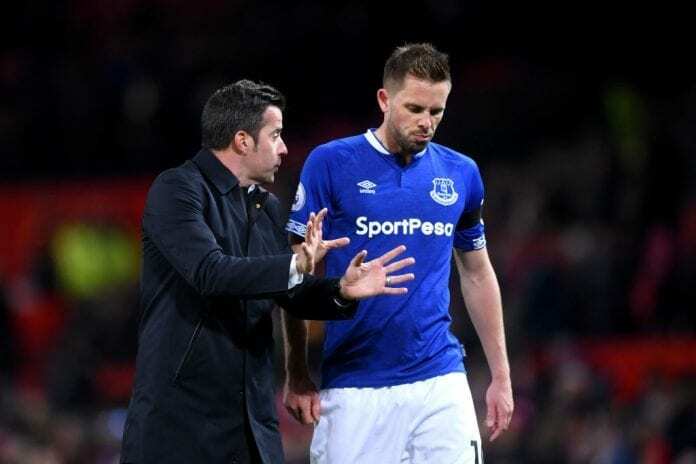 Everton manager Marco Silva wants his side to respond quickly after defeat to Wolves. The Toffees suffered a 3-1 loss at Goodison Park on Saturday despite Andre Gomes’ first-half equaliser. Goals from Ruben Neves, Raul Jimenez, and Leander Dendoncker condemned Silva’s men to a home defeat. And the Portuguese manager has called on his troops to produce a response against Manchester City on Wednesday. “It is now our obligation to turn things to our favour to give something back firstly to ourselves but of course to our fans,” said Silva. “Now is not the moment to find excuses. Now it is the moment to find solutions. “Many things [went wrong] against Wolves. When you lose like that, playing at home, and giving easy things to our opponent, it is a tough afternoon. Silva fumed at the manner the Merseysiders conceded three goals with less pressure from the opposition. 🗣 | “Now is not the moment to find excuses. Now it is the moment to find solutions." “We gave away many, many things too easily,” added Silva via the Club’s website. “It was more or less what has been happening in recent games when we are at home. “If Wolves had come here and caused our team a lot of problems I would congratulate them. But when you see that they take advantage of our mistakes, it makes it a tough afternoon. “Early on, they got a penalty really from nowhere. In a tough moment, we reacted and scored an important goal. “But after that, you cannot give the ball away because they get a free-kick and score from it. We knew what they were going to do and they did it.